Herb Partlow is a veteran in the music business. He has covered a broad range of roles that range from radio personality, artist, writer, producer, manager, recording and mastering engineer. The Future Jazz EP is designed to create a degree of disruption in the jazz music genre. Herb has a goal to attract younger listeners to a genre that's a bit of a dying art, commercially, based on recent industry trends and sales statistics. Jazz now represents only 1.2% of overall sales by genre in the music industry today. While that still represents millions of consumers globally, sales and radio have been in steady decline over the past several years. He incorporates elements of jazz, funk and hip-hop to create jazz music with a slightly harder edge. 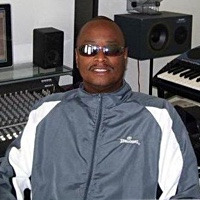 It is very smooth and jazzy music, but it also knocks with 808 kicks and drum rhythms that will appeal to the younger generation, as well as the traditional smooth jazz consumers. 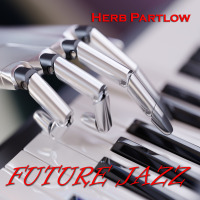 Hopefully Herb's rendition of jazz will spark a renewed interest in this very important genre of music so that it can remain commercially sustainable for years to come. It's a very modern version of jazz music! The FUTURE JAZZ EP will be available on-line 05.11.18. All About Jazz musician pages are maintained by musicians, publicists and trusted members like you. Interested? 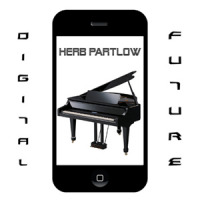 Tell us why you would like to improve the Herb Partlow musician page.